In London, when I was planning a holiday, my first step would be to peruse guidebooks at my favourite travel bookstore, with a particular focus on the ‘when to go?’ chapters. I always left the bookshop with less money, a heavy bag of books, and either a date in mind for the destination, or a destination in mind for the date. Having moved to Zambia for a year, I will soon find myself in a country at the exact time of year that I usually try to avoid – wet season! Yet rather than dread, I am filled with excitement at the thought of the imminent rains. 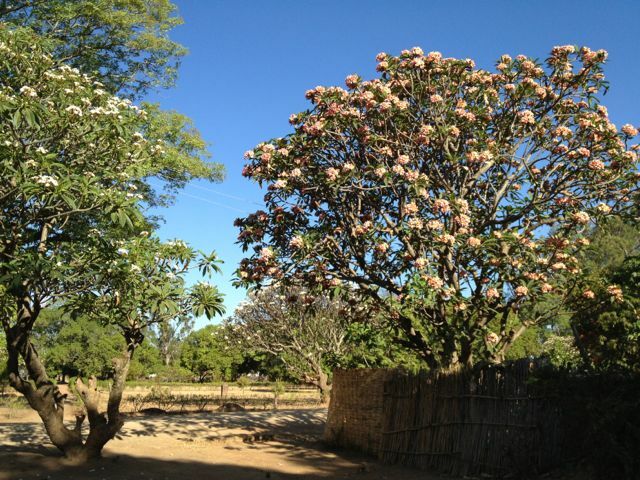 There are two main seasons in Zambia, the rainy season (November to April) and the dry season (May to October/November). The dry season can be subdivided into the cool dry season (May to August) and the hot dry season (September to October/November). I arrived in August and the first 6 weeks here were dry, warm and perfect. Over the last month though, each day that went by saw the temperature climb higher and higher, some days reaching 40 degrees Celsius. The sun has been burning down through a hazy dust, and the breeze offers little relief, bearing resemblance to the air that escapes on opening an oven door. I’m never one to complain about hot weather, I would always favour being hot over being cold. Lately however, I find myself gulping down uncharacteristically large amounts of water to take away that constant parched feeling or doing the washing up just to feel cool water on my skin. I look at the dusty, dry ground and after years of avoiding rains, I find myself willing the rains to come. The locals are also eagerly awaiting the rains, but for many of them it is because their livelihoods depend on it, making me realise how lucky I am to have the luxury of disliking wet weather. Even as an wet-season rookie, I have had no trouble in spotting the signs that the rains are getting closer. Each day the wind has a bit more oomph. 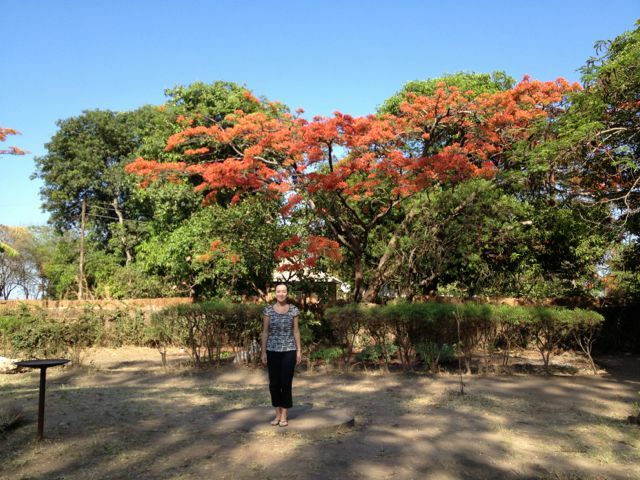 In addition, flowers are springing out all over the place with red flame trees painting the landscape, pink frangipani trees blooming heartily, and other bursts of colour sneaking through. And lately, in the mornings, there is something in the air (hard to explain what exactly) that makes me suspect the rains will be here any day. 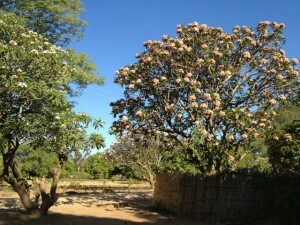 It is exciting to see the Zambian seasons unfold. But I won’t know how I really feel about the rains until they are here. Will the enthusiasm fade immediately after the first shower? Will I realize I have been sensible to read the ‘when to go?’ chapter so diligently all these years? Or will I be abandoning my guidebooks for a ‘whatever the weather’ approach from now on? Where I am, at the 45th parallel, we’re fast closing in on the season of snow, a dusting of which was on rooftops, car tops, and lawns this morning. The Fall colors are gone, the trees are bare, and everything is starting to hunker down, waiting for winter. Today, though, there will be rain (better rain than snow). I hope the rains come soon for Zambia. It will be interesting to read your description of, and your response to, the rainy season.